I was enjoying a chat with Linne Petri of the Milwaukee Audubon Society when the conversation drifted to our mutual fondness for country homes with well-stocked libraries (“an assemblage of souls we hold wise,” to paraphrase William Dave­nant’s definition for a treasury of books). Linne was reminded of some acquain­tances, a mature couple who owns a cottage up north and their adult children who asked to use the place for a weekend. The vacationers happened to visit the cottage when inclement weather precluded outdoor activities, so they called their parents back at home to complain, “There’s no TV up here. What’s there to do?” The parents directed them to their rich assortment of books. Some time passed, and the cottage owners returned to their northern retreat only to find their entire library rearranged. It was obvious that their collection had not been repositioned by subject or time period, by title or by author. The two puzzled quite a while before contacting their children to ask what new system of order had been imposed on their library. The answer? Color. With nothing to do on a rainy day, these young people had reshelved dozens and dozens of creative works according to whether they looked green, brown, red or blue, white or black. The bored souls thought they had brought coordination and beauty to the library, but in reality they had created chaos for their parents because they had disregarded the books’ functional value. What if this same thing were done at a public library? Can you imagine any action as foolish as that of these well-intentioned vandals? Consider gardening practices wherein plant breeders, landscape designers, and multitudes of consumers use appearance as the primary crite­rion for plant selection. They do so because they are oblivious to the scope of services performed by nature’s inventory and, by arranging life exclusively on an impulse for visual styling, are just as simple-minded as those who pose books as hollow decorations, ignoring the utility native plant communities offer us and the continuing evolutionary necessity these plants represent for hundreds of interdependent species. Our botanical heritage has undergone a kind of censorship, largely by farming, lumbering, and other land uses, but most pointlessly and compulsively by individual homeowners who have chosen cultivated and exotic species over naturally local ones, enforcing a matrix of local extinctions. Explorers, scientists, artists have been deciphering America’s story for hundreds of years. “By the mid-sixteenth century, descriptions of North American environments were spilling off European printing presses in substantial numbers,” says Michael Edmonds, a contributor to The Historical Ecology Handbook, and the correspondents have never ceased reporting. Journaling superstars include Catesby, Bartram, Lewis, Clark, Wilson, Audubon, Bachman, Nuttall, Say, Thoreau, Muir, Burroughs, and less-well-known transcribers such as May Theilgaard Watts who wrote the best-named book of the lot, Reading The Landscape of America. As if that weren’t enough reference for us, restorationists have been pioneering and honing their techniques since the mid-1900s, in effect writing the instructional equivalent of Ecological Landscaping for Dum­mies. So that now there really is no excuse for our delaying a restoration of the continent … and, in fact, the work has already begun as both professional and amateur naturalists restock nature’s library with the works edited by the genius of evolution. If we need encouragement to proceed with our terrestrial repair, and I know we do, we can look at models that demonstrate the successful adoption of sweeping reforms—the abolition of slavery, the expansion of voting rights. But let’s reflect on another monumental advancement whose presence has altered the destiny of civilization: modern dentistry. When it was first described as a profession, dentistry equated with extraction (along with the apparently allied services of leech application, shaving, haircutting, and embalming). Dentures would be carved from elephant ivory, although teeth from livestock were more common. During the 1800s, tools allowed cavities to be excavated by slow, hand-cranked drills. Fillings were formed from tin, silver, gold foil, or lead. It was only a few decades ago that dentists finally began offering a reliable and humane regimen for preserving the teeth in our heads. Today almost every American owns a toothbrush and sees a dentist on occasion. Children regularly get fluoride treatments and have their teeth straightened. Of late, the trend has been to get one’s smile whitened. This was a real, but almost subliminal revolution. Dentistry wasn’t so much debated in the public square as it was quietly absorbed into our individual and collective psyches over generations, even despite the considerable obstacles of fear, pain, and expense. Dental preservation and restoration have always been worthwhile goals, but oral hygiene was a science and practice whose protocols and popularity took time to develop. The same can be said about the preservation and restoration, science and practice, protocols and popularity of native landscapes—they have simply taken time to develop. 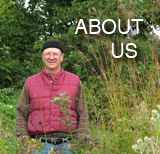 In the past, some of the property owners who were witness to the birth of the natural landscaping revolution were so confused and alarmed about the changes they saw in their communities, as their neighbors began converting lawns into wild gardens, that they actually attempted to retard stewardship practices by outlawing species that preserve natural resources. In a de­grading display, native-plant gardeners were made to feel they had to kowtow, to beg for permission from neighbors and officials so their American flowers and grasses would be tolerated, as though being an environmentalist and botanical patriot made property owners second-class citizens. Rest assured, ecological restoration is inferior to no other form of landscaping. Those who once rose up to oppose it did so out of ignorance. Any who continue to repress it are falling behind the times. “Lawn only” neighbors or municipal ruling bodies can assume no moral, aesthetic, or environmental superiority. There is no logic for opposing scientifically celebrated land-care methods, no justification for denying property owners the right to upgrade their own environment. The dissenters’ argument for a uniformly tamed landscape—boiled in emotions as the debate was—has distilled into nothing but the vapor of personal preference—a trend-based bias, that is all. Prejudicial opposition to intelligent landscaping is a distasteful part of our history, has been illuminated in books (notably Andy and Sally Wasowski’s The Landscaping Revolution, in which my story plays a small part), and I will not dwell upon it here. That disgraceful milepost lies in our rear-view mirror; now is the time to focus on the future of stewardship. Since we will spend more time as ghosts than as gardeners, since we are neither the alpha landscaper nor the omega one, any landscape you or I design just for ourselves will probably expire with us. However, when we restore the land, we sustain some of the organisms that manage to endure by seeking refuge wherever habitat can be found, so that even if our particular landscape gets scraped away by its next owner, at least it will have harbored our local ecology for a spell (and its plants and organisms can be transplanted to other sites if the new owner allows a plant rescue). Addi­tionally, our Earth-friendly landscapes, however long they prevail, have the potential to impress other landowners and, by an ever-widening circle of influence, cause more naturalized yards to spring into being, increasing the odds that some of nature’s gifts will live into the future. Comments Off on WHY natives ASAP!